Many people are paperless these days, which means your can de-clutter and get rid of those hefty filing cabinets taking up all that space! Remember the cloud is your friend and also helps when you can assess documents on the go. Only have essential furniture that you use all the time, dispose of any extra desks and chairs etc that aren’t needed, take up valuable space. this might also mean you can sublet some space bringing in some extra revenue. Make a weekly cleaning rota for your office, ensuring its done each week, leaving you with a nice environment to work in. Trust me working in a nice clean and tidy environment works and will make your and your staff more productive. 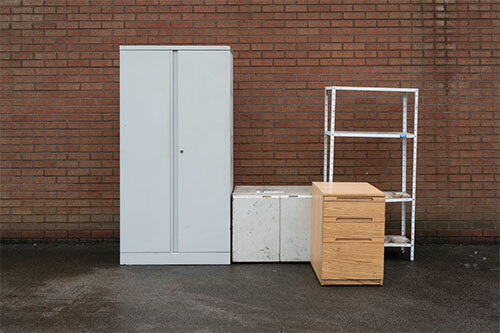 So when it comes to disposing of unwanted items whats the quickest easiest most cost effective way. This bit is easy for us its 1 call to www.clearanceandcleanup.co.uk . Polite friendly office staff to talk you through the process. Sign-wriiten trucks and smiling uniformed staff to do all the lifting. Waste transfer note and a VAT invoice for your records.